Burell C. Fugate, age 73, of Rutledge, passed away Sunday, April 7, 2019 at his residence surrounded by his family. He was preceded in death by his daughter, Karen Fugate; parents, Mitchell and Sophia Fugate; and sister, Alice Trobaugh. 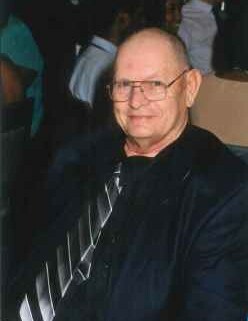 He is survived by his wife, Betty Fugate; sons, Tim Fugate and Rufus Fugate; daughter, Kimberly (Roy) Lovin; grandchildren, Michael Fugate, Jessica Fugate, Craig Lovin, and Andrea Lovin; brothers, Boyd (Carla) Fugate, Marvin (Yolanda) Fugate, and Morris Fugate; and several nieces and nephews. The family will receive friends from 5 – 7 p.m. Thursday, April 11th at Westside Chapel Funeral Home. Funeral services will follow at 7 p.m. with Rev. Roy Lovin, Jr. and Robert Rutherford officiating. Arrangements by Westside Chapel Funeral Home in Morristown.